Early this summer, the department learned a development proposal we had submitted to improve MIAP’s computer hardware was successfully funded. This was excellent news – our video digitization stations were not the only piece of equipment that had started lagging a bit and creating choke points around archival projects. But besides breathing new life into some of our existing workflows, this project also presented an exciting new opportunity. For the past couple of years, we’d had three contemporary (~2013) MacBook Pro laptops available in our digital forensics lab. These were intended, less for forensics really, and more as a general purpose resource – for MIAP students to use in any course, say, if they forgot their own laptop at home, or their own laptop was having difficulty during a hands-on lab exercise. These were, I think, quite a bit of success, and these laptops continue to be used on the regular. So I ultimately viewed these three computers as a sort of pilot program, justifying a larger fleet of similar laptops that could potentially serve an entire class of 10 or 11 students at the same time (our usual cohort size) rather than just three people. 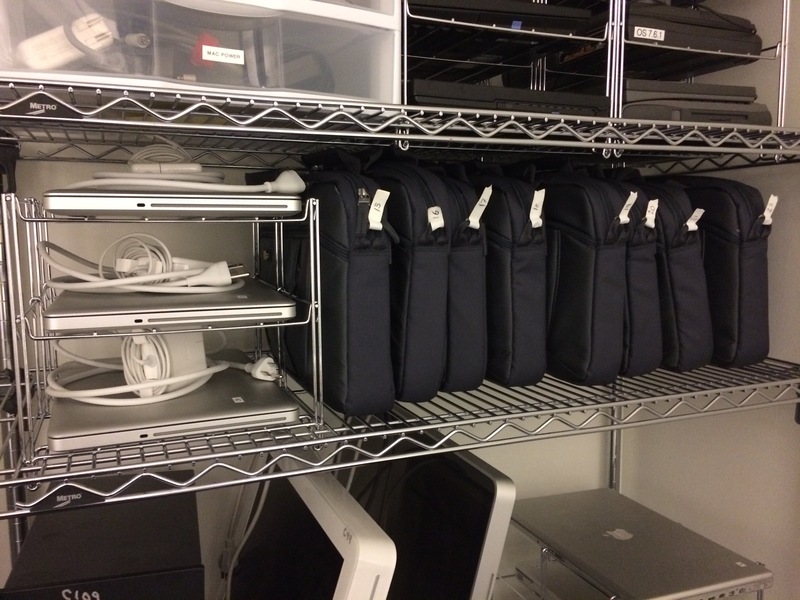 So, in addition to the MacBook Pros already there, we had the chance to add eight more laptops to this supply. Perhaps even more excitingly (for me, anyway), I had the chance to design, from the ground-up, what a “MIAP laptop” should look like – a laptop that, from startup, would be of use to our students in even vaguely digital-related courses… which, yes, is all of them, but especially: Metadata, Digital Literacy, Handling Complex Media, or Digital Preservation. They might also be used for workshops, like my own Talking Tech series, or for other invited guest speakers. What would the foundation for all this look like? What programs would you install to educate and demonstrate a wide variety of digital preservation and administration tasks: disk imaging, metadata extraction, metadata manipulation and transformation, digital forensics, file transfer and packaging, fixity management, on and on… while minimizing the time spent installing and managing software later on? What follows is a detailed break-down of each component of these machines: hardware, operating system, and software (both graphical and command line), along with, if prudent, what each program does and why it was selected. When applicable I’ll link out so you can download or investigate each component yourself and your needs (probably less broad than mine). Thanks to all those who offered feedback to that initial request, or have inspired these choices via many other professional tasks and avenues. Apple hardware has a proven durability – the MIAP media lab houses a fleet of legacy/leftover Mac laptops and desktops stretching back to PowerBooks and a Macintosh SE that are (knock on wood) largely still functional. Anecdotally, the majority of our students have come into the program as Mac users, and are therefore already familiar with using Apple hardware. 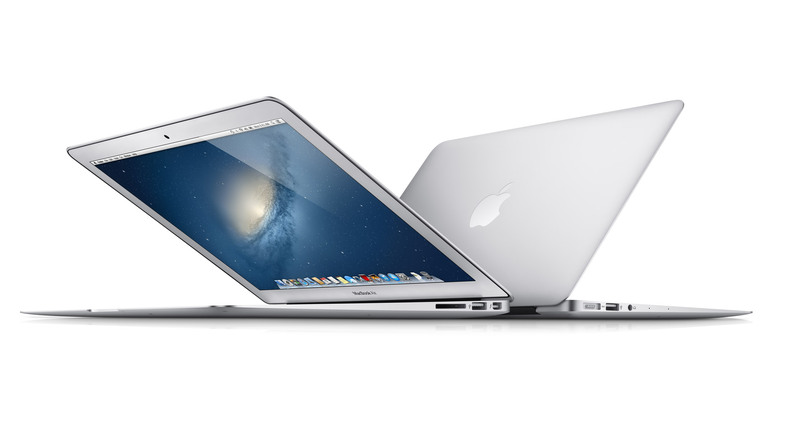 The MacBook Air line was chosen over the vanilla MacBook or MacBook Pro flavors of Apple laptops because of connectivity considerations – that is, available data ports. Given that the 2016 (and onward) MacBook and MacBook Pro lines have only USB Type-C Thunderbolt 3 ports, connecting to peripherals, external drives, and video projectors already available in the department would have required a host of new cables and adapters for data transfers and video output – as well as the need to track the location and use of said adapters. Thus, given its USB (Type-A) and Thunderbolt (Mini Displayport) options, the MacBook Air was considered most flexible in terms of backwards compatibility and most efficient in terms of maintaining current department equipment. The lack of a built-in optical drive in the MacBook Air line is something of a drawback in terms of potentially demonstrating optical disc imaging. However, built-in optical drives were discontinued on all readily-available Apple laptops several years back, in any case. A handful of USB-attached Apple SuperDrives (CD/DVD capable) were also purchased to balance this potential shortcoming. Intel i7 processors and at least 8 GB RAM guarantee ability to run virtual machines or emulation software at comfortable processing speed/power (e.g. minimum recommended requirements for demonstrating a BitCurator VM). Higher cost of 512 GB SSD storage (opposed to smaller 256 GB model) was considered worth the investment for the ability to potentially move/manage/analyze larger collections and files locally without fear of running out of storage space. In either case, SSDs will require close management to avoid clutter – storage should be inspected and evaluated at the end of each semester (files to be kept moved to department’s backup storage, excess/test files removed). Choosing a Mac OS was a trickier consideration. As of summer 2017, Apple only continues to roll out security updates for OSX 10.10.5 (Yosemite) and above, immediately removing any earlier OS version from consideration – exposing students who may be using these machines for tasks as mundane as web browsing to known OS security flaws is unacceptable. And generally speaking, it is the position of this writer that operating systems on professional workstations should be maintained as up-to-date as possible – beyond the security hazards of using older operating systems on a network (laid bare by the global WannaCry and NotPetya ransomware crises of summer 2017 alone), it anecdotally seems to me that archivists and librarians tend to maintain old systems in order to continue using older, favored software, that may or may not encounter issues with newer OS versions. I feel this approach simply ignores the underlying issue of software rot rather than facing it head-on. Rather than allowing workflows to become increasingly unsustainable to the point that they completely break and require the increased effort of redesign around entirely new systems, regular updating identifies problems in software/environment communication *before* they become full-stop crises, and allows for workflows to be regularly tweaked and improved in an ongoing process (particularly when dealing with open-source software, where the issue can be communally raised and addressed) rather than totally reinvented. 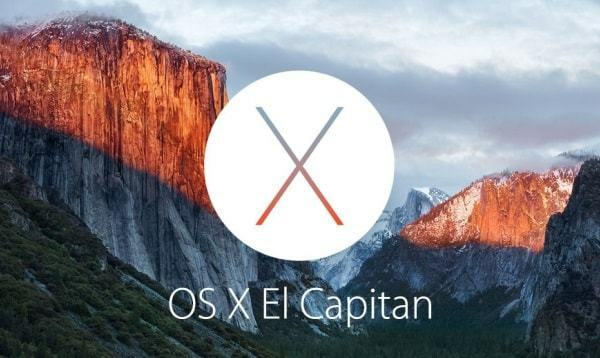 That said – such regular updating and testing has identified some persistent issues with macOS 10.12 (Sierra) that make OSX 10.11 (El Capitan) more appealing for the moment. The OS updates in Sierra were largely based around consumer-driven features: the introduction of Siri and Apple Pay to macOS, increased picture-in-picture mode and tabbing in third-party software, improved iCloud sync, etc. These features have made macOS Sierra a much more demanding OS, in terms of processing power, at no perceived benefit to digital archivists or our students. Other new “features” – such as “improved” download validation that can quarantine archived applications (downloaded in .zip, .tar files, etc.) without notifying the user – have proven actively problematic. Continued rollout of Apple’s new file system (APFS), compatible only with Sierra and above, will be worth keeping an eye on, especially when 10.13 (High Sierra) arrives in fall 2017. But as long as security updates are maintained, the stability of El Capitan (plus increased functionality over Yosemite) makes it, for my money, the preferable option right now for a digipres Mac machine. Since all new Apple machines come pre-installed with the latest OS (Sierra), this decision required actively downgrading the laptops. Doing this on a brand-new machine, where there is no need to backup user data, is luckily a relatively simple process (and, with solid-state drives, fast), with plenty of thorough instructions available on the internet. Open source web browser preferred. Given that these laptops were made available to the department of Cinema Studies and the MIAP program specifically under the idea that students should not face any technological barriers to their education in this program, I believe we have a responsibility not to ask students trade their privacy for that privilege. While we do not control the privacy policies for use or administration of NYU’s network or NYU’s Google Apps for Education, we control this hardware, and as is the case in public libraries, have a responsibility to at least maintain privacy via physical access (i.e. multiple students potentially using the same device) and limit outside tracking of our students to the best of our ability and advocacy. Thus, our Firefox browsers (set as the OS default browser) come pre-installed with several open-source extensions and preferences designed to enhance web security, limit third-party tracking, and automatically clear personal data like browsing history and passwords. Hidden scripts activated at regular intervals (after any overnight/project checkout, or once a month, whichever comes first) by an admin account (AppleScripts borrowed/tweaked from the staff at Bobst Library’s Computer Center! Thanks, guys!) also automatically securely delete files from most common user directories: e.g. Downloads, Documents, Desktop, etc. Open source, flexible hex code viewing/editing. Robust, proprietary software suite for the creation and manipulation of XML-based data. Used for instruction and homework in Metadata course. Made available via academic licensing. Open source software preferred. Maintains local compatibility with Google Docs, Sheets, Slides (used by many students and courses via NYU’s Google Apps for Education) for basic word processing, spreadsheets, presentations, etc. Powerful and flexible program for database design, data management, and cataloging. Used for instruction and a major assignment in Metadata course. Proprietary, licensed; Filemaker’s move to cloud-based download and licensing structure, rather than via physical media (install disc) makes our usual model of temporarily lending students licensed copies of the software for their own computers increasingly untenable to manage. Investigation into a suitable, long-term open-source alternative for the Filemaker assignment is ongoing. Software for designing, deploying and manipulating MySQL databases. Standard Editions of MySQL-branded software (Server, Workbench, etc.) have been closed/proprietary since being bought by Sun Microsystems (now Oracle), but the foundational software (lacking some features/modules) is currently made available via open-source “community editions” buried on Oracle’s site. Potential alternative to use for the Filemaker assignment in Metadata course, but for now at least offered for students to explore. Open source software preferred. Flexible media playback software that maintains compatibility with most consumer and even many preservation-grade video formats and codecs for QC and access. Open source alternative to built-in Mac “Archive Utility” app for opening zipped/archived/compressed files – and more powerful (can extract from a much wider variety of archive formats, e.g. .rar or .7z, and can better handle non-English characters). Open source GUI for the rsync Unix command-line utility. The Mac port of Grsync hasn’t been actively developed since 2013, but Grsync is a stable and intuitive cross-platform interface that makes crafting rsync scripts easier for beginner or command-line shy users. FUSE for OSX is an open source file system compatibility layer that allows for read/write mounting of third-party file systems in OSX – combined with the NTFS-3G driver (installed via Homebrew), allows NTFS (Windows)-formatted disks to be mounted with both read AND write capability on a Mac (out of the box, OSX will usually mount and read/display files on NTFS disks but can not write/change data on them). Necessary Java libraries for running some of the Java-based GUI tools listed below. Free and open source software for batch identification of file formats, using the PRONOM technical registry. Open source software that displays basic technical metadata embedded in a wide variety of video and audio codecs. Open source video transcoding software. Perhaps most commonly used for ripping DVDs but also useful for creating web or disc-ready access copies of video files. Alternative free (but not open) video conversion and editing software. Transcodes and demuxes a variety of formats (not, despite its name, just MPEGs), with some more sophisticated clipping/editing options than Handbrake. VirtualBox, by Oracle, is a free and open source virtualization platform, allowing for a variety of contemporary and legacy guest operating systems to be run safely on a modern host. In this instance, VirtualBox is used to run the BitCurator Linux distribution (derived from Ubuntu) – in essence, a comprehensive suite of of forensics and data analysis software aimed at processing born-digital materials. The full list of tools found in the BitCurator environment can be found on their wiki. In addition to the tools on this list, two additional pieces of Linux-only command-line software were installed (via Ubuntu’s CLI package manager, apt-get): dvdisaster, an optical disc data recovery tool; and dvgrab, designed to capture raw DV streams from from tape. Edit (8/9/17): dvgrab is a great tool, but the FireWire connections necessary to hook up to DV tape decks will not pass through VirtualBox into a virtualized OS. So installing dvgrab in this particular setup was essentially moot. But, leaving the mention of it here because it would still be useful for any digipres-oriented machine running a dedicated Linux/BitCurator installation rather than a virtualization. The Library of Congress’ free and open source GUI for packaging and transferring files according to the BagIt specification. Simple GUI tool developed for quick accessioning of digital media (including assigning unique identifiers, basic Dublin Core metadata, and checksum validation) into a repository prior to more detailed appraisal and description. Utility for regular review and checksum validation of files in a given directory. Can email regular reports to the user on status of files in long-term storage. Free and open source tool for adding, extracting and validating metadata within Broadcast Wave format audio files. Quality control and reporting tool for extracting and examining metadata from DV streams, either during reformatting from tape media or post-capture analysis. Extensible, open source policy checker and reporter, currently targeted at validating audiovisual files conforming to preservation-level specs of Matroska (wrapper), LPCM (audio codec) and FFV1 (video codec). Now a volunteer, open source project (formerly funded by Google and known as Google Refine) for cleaning and transforming metadata. Free and open source option for in-depth inspection of digital video signals; intended to assist in identification and correction of common errors during digitization of analog video. GUI is aimed more at in-depth analysis of single files (see command line tool for batch processing). to allow easy download of a number of useful programs and libraries made available from the Association of Moving Image Archivists’ Open Source Committee! The Mac OS Terminal application, which is how most users access and use command line software, by default uses version 3.2 of the Bash shell, whereas the most recent stable version of Bash is all the way up to 4.4. The difference won’t be noticeable to the vast majority of users, particularly regarding common digipres tasks, but users or students interested in more advanced bash scripting may want to take advantage of the shell’s newer features. Once Homebrew is installed, updating the Bash shell is a very easy process, outlined in the link above. Extremely powerful and flexible media transcoding and editing software. Use of ffmprovisr as a guide to just *some* of the possibilities highly recommended! Similar to ffmpeg, but targeted specifically at transformation and transcoding of still image files. Sound processing tool for transcoding, editing, analyzing, and adding many effects to audio files. Utility specifically for manipulating and transforming metadata in the JSON format. Reads embedded and technical metadata of media files, especially powerful/helpful with regard to still image formats. Command line tool for displaying and creating reports on basic technical metadata for a wide variety of video and audio formats. Basic utility (ported from Windows) that recursively displays all files and subfolders within a directory in a human-readable format – a nice companion to the basic “ls” command. Fast, versatile tool for securely transferring or syncing files, either remotely (to a server) or locally (between drives). Allows for downloading files from the internet (via HTTP, HTTPS, or FTP) from the command line. Command line program from downloading media off of YouTube and other popular media hosting web platforms. Command line policy checker and reporter for validating Matroska, FFV1 and LPCM files. Command line tool for generating QCTools reports. Aimed at batch processing reports for a number of video files at once. Smart data recovery tool, can be life-saving for dealing with “dead” and failing hard drives. Library necessary for handling EWF forensic disk images (Expert Witness disk image Format). A package of scripts developed at CUNY TV for many useful tasks and batch processing related to audiovisual files. Utilizes several of the other command line programs mentioned here, including ffmpeg. Follow the link for installation instructions and more details on all the scripts available and what they do! A read/write NTFS file system driver. When Fuse for OSX is installed, you can use the ntfs-3g command to manipulate files on NTFS (Windows)-formatted disks on Mac OS. Just to add a little more flavor to your command line education. Try ’em and find out. * It’s a practical reality that basically every grad student coming into the program already owns their own laptop, and would generally prefer to use their own machine during class – especially since in-class work frequently ties into take-home assignments, group work, etc. I therefore have not yet designed any sort of official loan policy for these laptops to leave the classroom. But it has also proven true, especially in our Digital Literacy and Handling Complex Media classes, that there are times for lab exercises that it really really assists with classroom prep for there to be a guarantee that everyone in the room will be on the same page. You can use MariaDB instead of MySQL. Is there a MariaDB equivalent for Filemaker or Workbench, Reto? i.e. GUI that allows for relationship modeling, creation of forms/views for data entry? 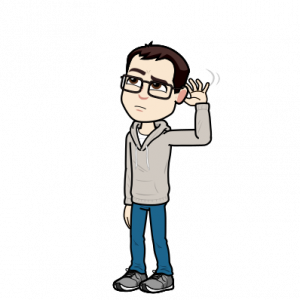 The issue with that class and assignment has generally been how to teach principles of RDBMS without overwhelming students with the back end of server/database setup. I’m considering just suggesting OpenOffice Base, as it is probably simplest for introducing the basic terms (tables, keys, queries, defining data types, etc. ); but using Filemaker currently does have the advantage of giving students experience with professional-grade software that may prove useful to them in internships and job interviews.